PEMAC and the University of Saskatchewan invite maintenance professionals and asset managers to a meeting in Saskatoon on Jan. 20, 2011, to introduce the MMP (Maintenance Management Professional) education and certification program program for delivery through the Centre of Continuing and Distance Education. PEMAC (Plant Engineering and Maintenance Association of Canada) president Brian Malloch and MMP program manager Cindy Snedden will lead the presentation. This information session will provide an overview of the program and the eight modules required for certificate completion. The program, developed by PEMAC is currently delivered across Canada through many post-secondary institutes. The CCDE would like to partner with PEMAC to make this training available in Saskatchewan. Feedback from the information session will be used to gauge the interest and feasibility of the MMP certification being delivered in Saskatchewan by the University of Saskatchewan. RSVP by Thursday, Jan. 13, 2011, to Jill Turner, program manager, at 306 966-1382 or by email at jill.turner@usask.ca. PEMAC’s MMP program consists of eight modules and requires a 675 to 900-hour participant commitment. For program details, visit www.pemac.org under MMP and then select "Course Training Standard." 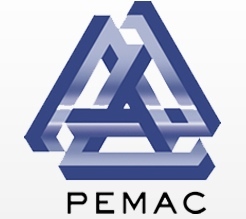 PEMAC is a national association providing global leadership in world class maintenance, reliability and physical asset management practices. Participants requiring focused training in a particular MPP module.